MINNEAPOLIS (AP) — Attorneys head to court Thursday to argue over whether a criminal case should go forward against a former Minneapolis police officer who fatally shot an unarmed Australian woman who had called 911 to report a possible sexual assault in the alley behind her home. The hearing is mostly about whether the case can proceed to trial. Defense attorneys are asking that the charges be dismissed for a lack of probable cause. 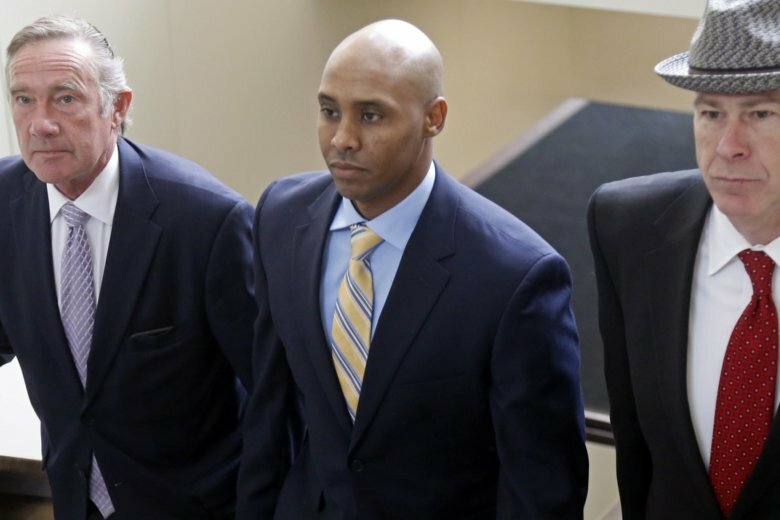 They argue that Noor fired in reaction to a perceived threat of danger, not with a “depraved mind, regardless of human life” as required under Minnesota’s definition of third-degree murder. They also say he didn’t act with the “culpable negligence” needed for a conviction for second-degree manslaughter. Noor, who has declined to speak with investigators, was in the passenger seat of a squad SUV when he reached across his partner and fired at Damond through the driver’s window after she walked up to them while they were stopped in her alley. His partner, Matthew Harrity, told investigators they “got spooked” when she approached. Harrity said he heard a voice and a thump on the back of the squad, and glimpsed a head and shoulders outside. Harrity said he feared for his life and drew his gun, holding it by his ribcage pointed downward. Noor, however, fired at Damond, striking her abdomen. She died at the scene.